Getting started with the Keybase app. Thank you for installing the Keybase alpha. We're changing the app every day, so bear with us as we crank this out. It could be a new encrypted chat message, a folder-from-a-friend. It could be practically anything. You don't need to connect 10 different social media accounts to your profile, but you should connect any services you're known by. 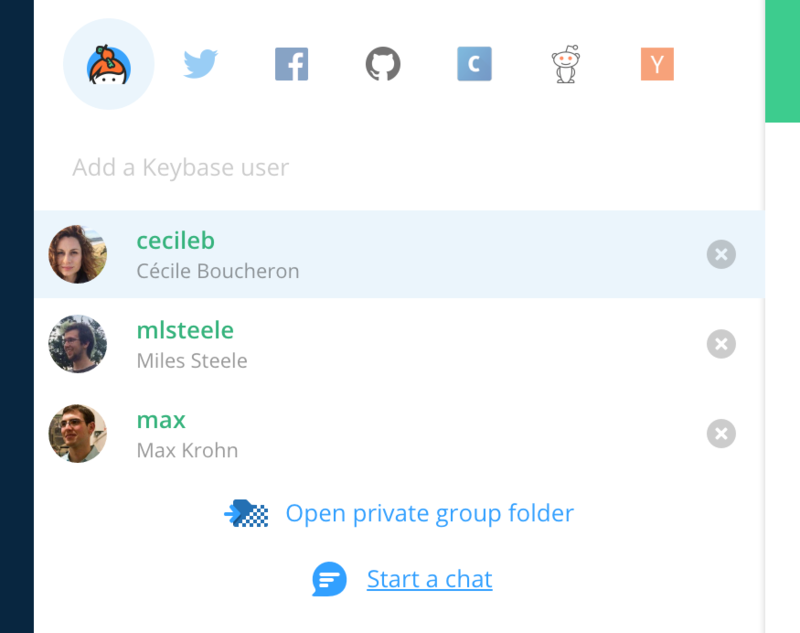 The way to get that message is to (1) Join Keybase, which you've already done, and (2) connect your Reddit account. Similarly, you too can leave messages for people online, knowing just their handles. 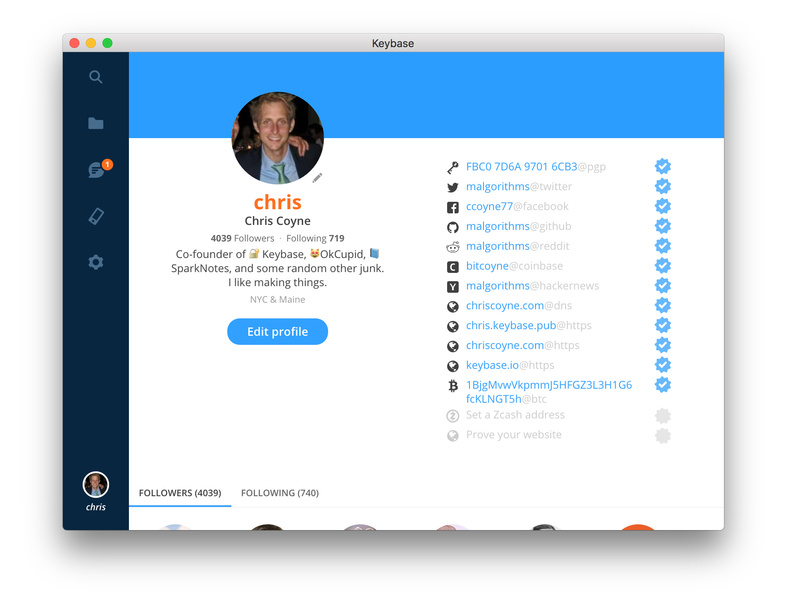 Every couple days you'll get a new build of Keybase. Please accept these humble updates. We're making constant improvements. If you hit any snag at all on your machine, please report it to us. Ideally send us your logs, which will help us unravel the problem. This won’t share your private keys or encrypted file contents, but it will let us see filenames.